Artist Jenifer Balducci combines hand forged, one of a kind and organic metal elements with unusual, hand- picked high quality stones to create contemporary jewelry inspired by the past, the earth and the cosmos. Fine Arts from UCLA. Finally following her dream, she started JBalducci Jewelry in early 2003.
styles, ensuring that anyone will find an accessory that they can identify with and fall in love with. Custom pieces designed around your specifications are encouraged and available, as well as bridal party design. 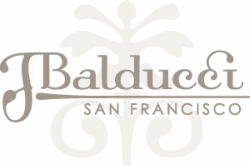 JBalducci is handmade in the San Francisco Bay Area.